Resilience is the capacity of a system – a person, a bacterial culture, a forest, a city or a financial economy – to adapt and continue to survive. It is a creative response to shocks, threats and disruption, and a desire to persist. And, whether you like it or not, our biosphere, in particular, is changing, and dramatically. Spiking temperatures, rising seas, flash floods and extreme droughts are threatening human infrastructures – our global food supplies, water and energy sources, our public services and even our cities – and our very survival. This more extreme and increasingly chaotic world we now co-produce – our new planetary epoch, the Anthropocene – demands profound structural changes in how we imagine our relation to, and means of subsisting on, our planet; if, that is, we intend to be resilient and persist. The idea of ecological resilience as a desirable quality was first developed in C. S. Holling's 1973 scientific research paper ‘Resilience and Stability of Ecological Systems’ (published in the Annual Review of Ecology and Systematics). Holling, a Canadian ecologist, studied the interactions between predator and prey in specific ecologies, and realised that such interconnected actors have multiple and dynamic relationships. Individuals die, key resources dwindle, specific populations migrate and, although none of these events are necessarily catastrophic, together they offer an opportunity for adaptive change – for creative resilience. Put simply, Holling noted that resilience increases with diversity, and the strength of the relationships between its actors. There is nothing intrinsically positive about resilience; it is merely the duration of a described ecology, a set of actors, resources, practices and values, through time. There are many practices and values that are resilient that I would prefer were not, such as the exponential growth of self-referential administration, the Kalashnikov automatic rifle, free-market ideology or fascism. Resilience itself has been subject to ideological capture – it is now used by neo-liberal governments as a justification for reducing welfare, shrinking public provision and deregulating market forces. As a consequence, vulnerable communities will need to become even more resilient, if they are to survive successive waves of crises. The challenge, then, is to ensure the values I value are resilient: to occupy resilience. Markets are brilliant bundles of technologies, assembled to distribute things. All kinds of things. The most visible, recognisable form of market, is that derived from Austrian economist Friedrich Hayek's early theories on the self-organising logic of ‘free' markets, which imagine rational individuals pursuing, and markets as being motivated primarily by, self-interest. The forces of supply and demand at play among these rational individuals produce the values – often represented by a financial price – exchanged in any transaction. These fundamental elements: rational agents, resources, supply and demand, and price mechanisms, function in all markets everywhere as if like natural laws. Like gravity. In my experience, competitive markets, whether they distribute contemporary art, financial contracts or Kalashnikovs, are inherently conservative and risk-averse; they value repetition and minor differences. This is why, for example, the secondary art market convened by auction houses loves Andy Warhol’s silkscreen prints. Each series is more or less limited, each print is more or less the same as all the others in the series, and yet each can be narrated into singularity, into originality. It’s the only one with red-lips, for example, or blue eyeshadow, signed on the reverse, printed by his best friend, owned by Jacqueline Kennedy Onassis, and so on, endlessly. Markets value the idea of scarcity, of originality, even when knowingly fabricate it. We have allowed the values of competitive markets to dominate contemporary art, and the education of those who want to be artists. We have produced and reproduce a virtual monoculture, and monocultures are not diverse. Monocultures are fragile, not resilient. The glory of British art education, in my experience of teaching (at Chelsea College of Arts) for the last twenty years, is not reducible to the numerous artists who go on to win prestigious prizes, or gain commercial gallery representation and dominate in competitive art markets. While we rightly celebrate their achievements, these artists represent something like 1 per cent of the participants who profit from a creative art college education. No, the glory of British art education is the resilient 99 per cent – artists who go on to produce, often in ways we cannot imagine, the vast creative commons of invention and creativity the world in general, Britain in particular, and London specifically, benefits from. It often starts with a nagging curiosity. ‘I wonder how to do that?’, or ‘I could do that much better.’ Curiosity is the substrate of creativity, overlaid by an appetite for risk, necessarily followed by determination. Through their education, artists learn to cope with the uncertainty produced by curiosity; they come to understand the importance of not-knowing and be comfortable with finding things out by trial and error (even imaginative error). They create new things by doing, evaluating and doing again, differently. Sometimes by being ‘stupid’, previously unseen possibilities emerge. 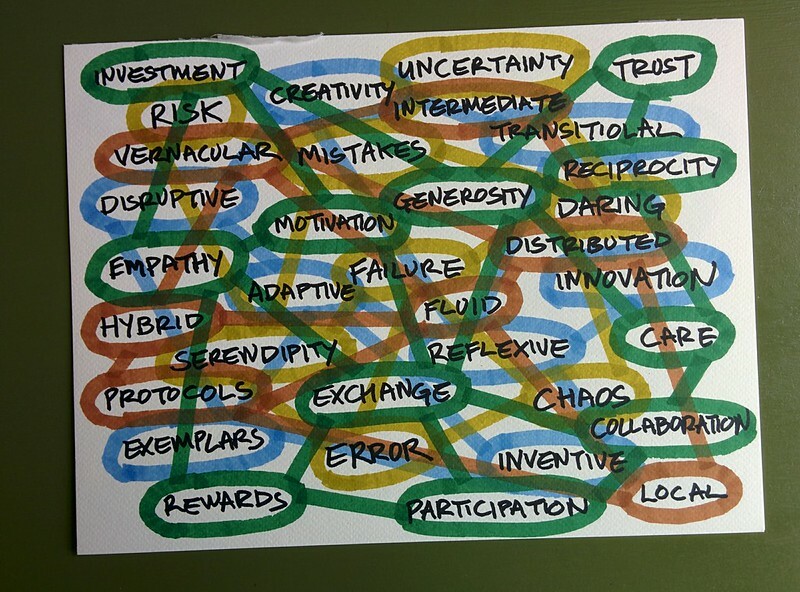 This is surely the most valuable form of creativity, producing emergent values, and not the rote, the already sold, or the already known. Instead, the thrill is in finding new knowledge and meanings, embodied in original relations between people and things, between processes and resources. Producing artefacts for markets is no longer enough; to be resilient, we will need to radically reimagine what art can be, and what it can do. At Chelsea College of Arts, artists are encouraged to be ambitious enough to creatively assemble the very ecology in which they practice. This enables shifting relations to exist between specific people, things, modes of organisation, places, resources and forms of knowledge – it enables an ethics of care, a desire to share and releases various new funding streams. Creative artists are always enmeshed in networks of cooperation in these cultures; even as they pursue their 'own' interests, they're in deep connection with others. Artists who have graduated from Chelsea, like Gareth Lloyd at Machines Rooms, for example, have pioneered skill-sharing networks and maker libraries. Others have produced communal workshops and ‘hacklabs’; developed Time Banks – where time replaces money as currency; set up various up-cycling networks and, as with #TransActing explored other resilient economies. Some artists have initiated new music-publishing platforms and many, many, many have become musicians – some experimental, others forming groups; some, like Sam Lee, researching disappearing folk traditions. Some compose film soundtracks. 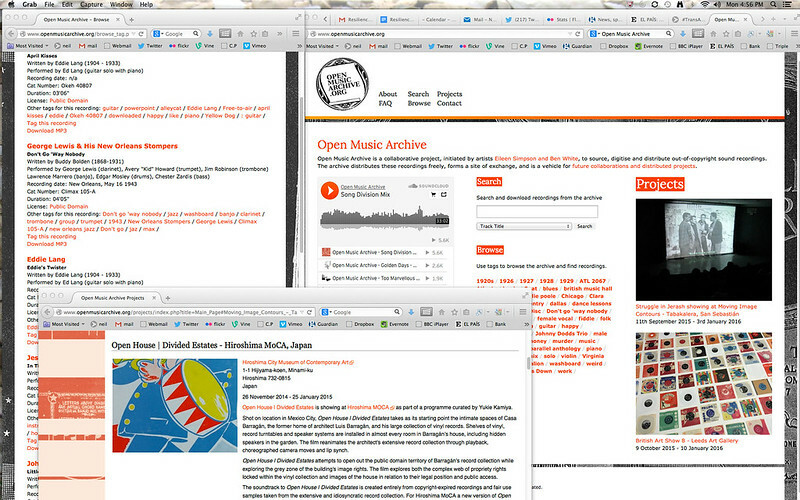 The Open Music Archive, which sources, digitises and distributes out-of-copyright sound recordings, was co-founded by an artist from Chelsea. In these fluctuating environments, artists learn to be super-resilient; always alert to chance and opportunity, unruffled by the precariousness of financial rewards or a lack of clear career trajectory. And they tend to be amazing at managing resources, whether material, emotional or financial. Artists frequently wring the maximum from limited resources, and resources are always limited, because, as they increase, so does creative ambition. Artists even squander creatively. Once assembled, these resilient networks need never dissipate. Of course they change, but creative artists develop a continuous practice – a lifelong commitment to learning, reconfiguring and sharing the results. Artists produce crowd-funding platforms, skill-sourcing apps and virtuous communities, where getting personally fit involves doing good for others (like Goodgym). Some run independent bike shops, others are personal trainers or lead city walking tours. In response to the capitalisation of art education, artists have founded and run local, free art schools – such as Open School East in Haggerston, London – Free Slow Universities, public seminars, screenings, lectures, reading groups, knitting circles and other discursive cells. Some artists teach art to children, others to adults. Artists from Chelsea run institutional education programs, public programs and outreach projects. Some migrate to writing, or publish and build publishing platforms – both analogue and digital – about art, music, architecture, film, digital animation, culture and anthropology, among many other things. Other artists drift into curating and reimagine what an exhibition might consist of – others organise experimental exhibitionary institutions, like The Showroom in London. Others go on to shape the art market rather than being subject to it – they found commercial galleries or, like Francis Outred of Christie’s, lead auction houses. Artists consult and mentor, start start-ups, begin businesses and contribute to various social enterprises. They innovated socially, before the term ‘social innovation’ was coined. Some are hacking finance, organising money-labs, mining bitcoins or agitating for an Art Auction Transaction Tax. Other artists use food as a creative medium: run urban farms, make cheese, open cafés, work as chefs; many design, build and run restaurants. 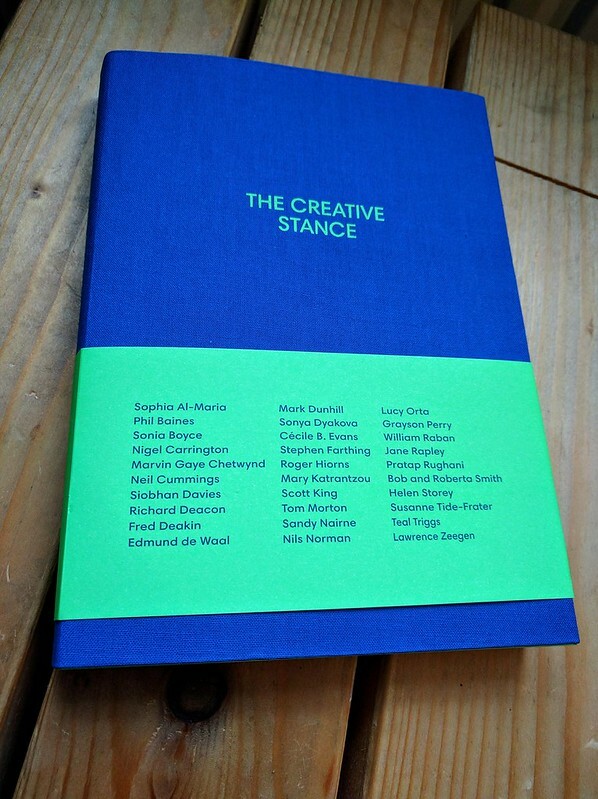 Artists from Chelsea, in particular, increasingly self-describe as activists, working creatively with social relations and political structures to change attitudes and behaviours. Liberate Tate champion cultural divestment from fossil fuels; The Carrot Workers campaign against internships and precarity, others are seeking to extend refugee status to migrants, or to resist gentrification. Others join the more formal political structures and represent others. So, we can no longer afford to merely champion and support a niche ecology of artists, artefacts, collectors and select institutions – commercial galleries, art fairs and museums - and a competitive market distribution mechanism. If we are to be resilient, we will need to learn to value and celebrate other kinds of artists, artworks and the ecologies that produce them, including the distribution of art into diverse social networks. We will need to overwrite the production of scarcity with creative abundance, because creativity is one of the few unlimited resources we possess. 1. ‘Markets mark the things they distribute’ was a phrase Michael Sandel deployed in the first of his BBC Reith Lectures, in 2009. He used an example, derived from the U.S., in which schoolchildren were paid a fee in order to encourage them to read. In paying children to read, he argued, they were encouraged to believe that reading is a way of earning money. Any good inherent to reading, therefore, would be overwritten by the desire to financially profit. 2. The latin root of exhibition – exhibere – designates the sharing of evidence, specifically within a legal setting.